April’s guest blog comes from a page regular, my cousin, James Doherty. Today he’s talking about a topic that was very much part of some recent blogs and presentations I gave on the Paddle Steamer service that ran between the city and Duncannon. 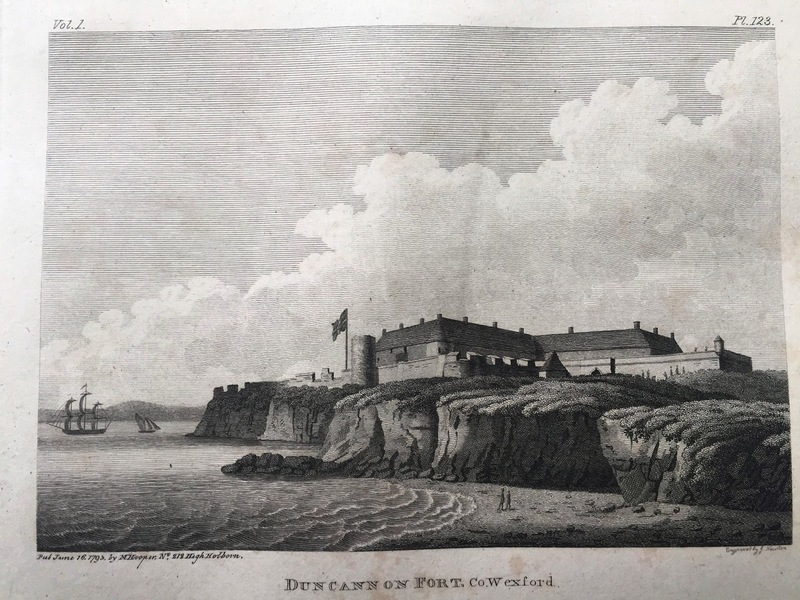 In this piece James gives us an insight into the history of Duncannon fort on the Wexford side of Waterford Harbour and the use of the facility by, amongst others, the Waterford Militia. 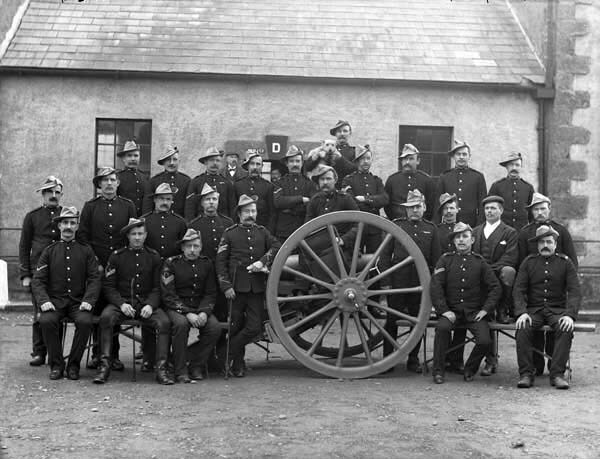 The presence of the militia men in the fort continued a long military tradition at Duncannon Fort. 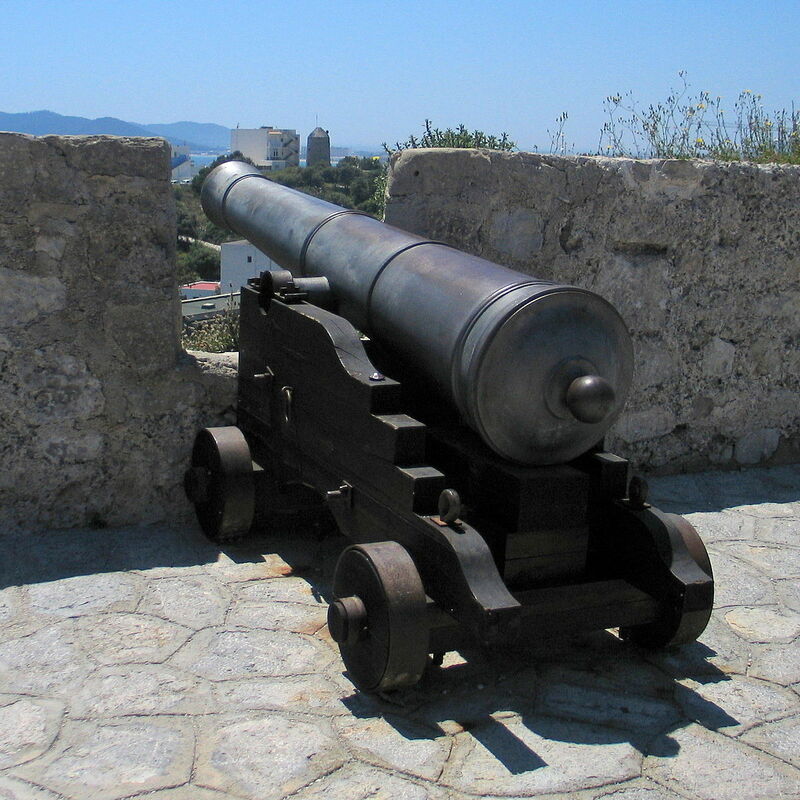 A fortification stood there since medieval times with large parts of the stone fort that stands today dating from 1588 when the modern fort was built to withstand the threat of the Spanish invasion. It took a 6 week siege for the fort to be captured during the Cromwellian wars and later in that same conflict the fort, having being retaken, withstood the attempts of Cromwell’s army to recapture it. Having spent a number of weekends at Duncannon fort when a member of Civil Defence, I can only say it was always a wonderful place to visit and explore. Its not our first trip to Duncannon of course, as my good pal and fellow blogger Bob, recalled a Duncannon beach family holiday in the 60’s previously. And armed with this extra insight into its history and occupation, hopefully you will make your way down to visit this summer. It opens in June and more details are here. If you would like to contribute a piece to any of my guest blog Friday’s (last Friday of each month) please get in touch to russianside@gmail.com. All I ask is that the subject matter be linked in some way to the maritime heritage of the area, and 1200 words approx. While collecting my daughter from a bus recently I happened across a limestone slab set into the pavement behind the Waterford bus station. It was battered, damaged and out of place, but the inscription was legible. 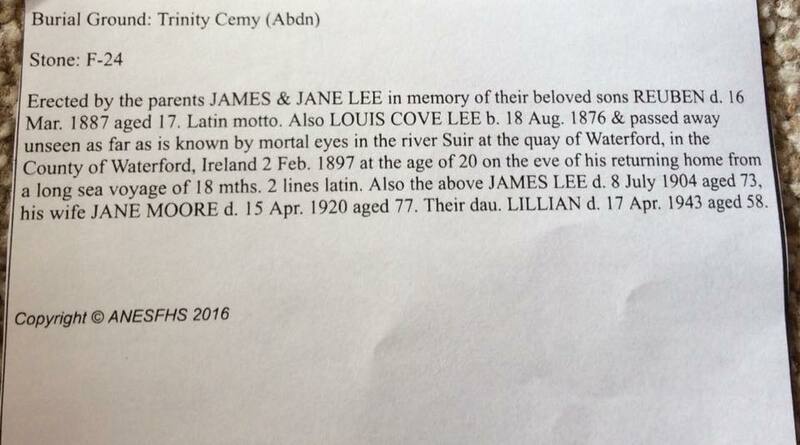 It reads In Memory of Louis C Lee of Aberdeen. Found drowned here Feb 3rd 18. 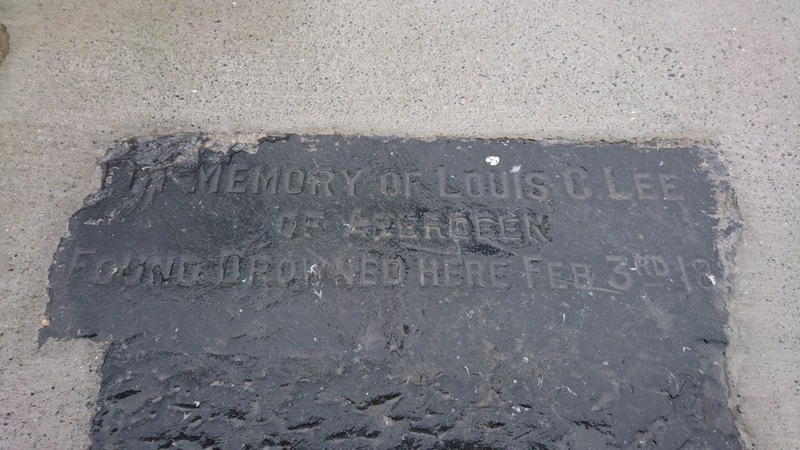 But who was Louis, when exactly did he die and why was a memorial stone set into the footpath for him? Louis Cove Lee was born on the August 18th 1876 and was 20 years old when he drowned on Waterford’s quays on the night of Feb 3rd 1897. His parents were James and Jane Lee and according to the census of 1891 he had three sisters and two brothers. He was a trainee officer aboard the iron hulled sailing ship the Queen Elizabeth of Glasgow. 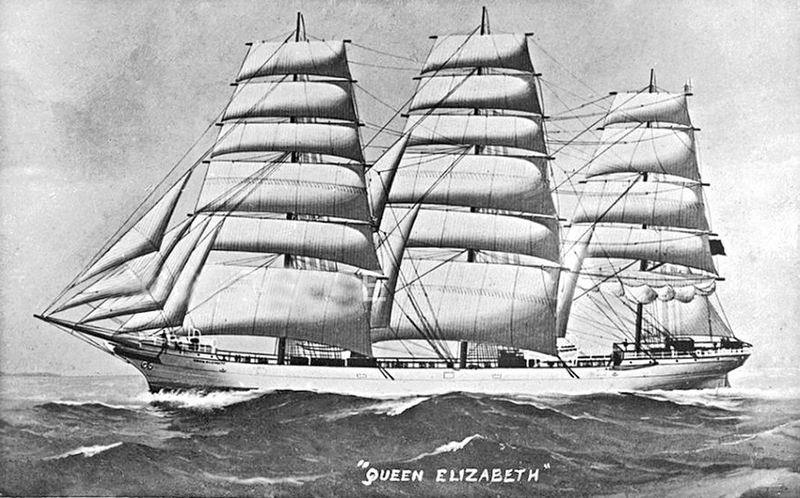 The ship had sailed from Middlesboro in August of 1895 for Hong Kong and hence to Shanghai and San Fransisco under her master, Captain Charles Edward Fulton. The trip from America had taken 170 days via Cape Horn and she had entered Waterford the previous Sunday with a cargo of 2700 tons* of wheat for RH Halls. She was docked on the quays close to the then Market House and the job of unloading was commenced. On the day of his death Louis was counting the bags of wheat as they were discharged ashore. Louis finished his work at about 5.30pm on that Wednesday evening. The following morning at about 10am a cry went up as a body was discovered lying in the mud between the ship and the quay. 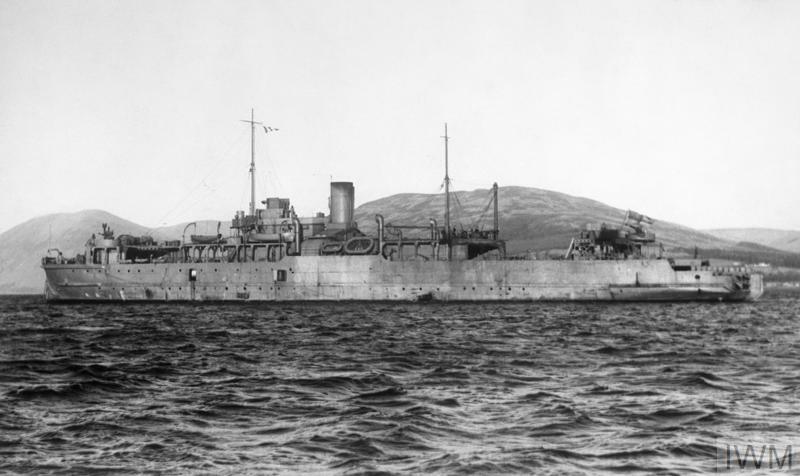 Louis had spent three years aboard ship and was highly regarded. He was about to leave to return home and attend navigation school in Aberdeen and no doubt looking forward to seeing his family again. Within another year he would qualify into the junior officer ranks and could look forward to a life of foreign travel and, most probably, a much easier working future aboard steam vessels. The mood in the city was full of remorse and when the young man was laid out aboard his ship, many of the city residents attended to pay their respects. Understandable, given that almost every family in the city had a maritime connection at the time. Louis embodied the potential fate of so many sons, brothers, husbands and fathers. 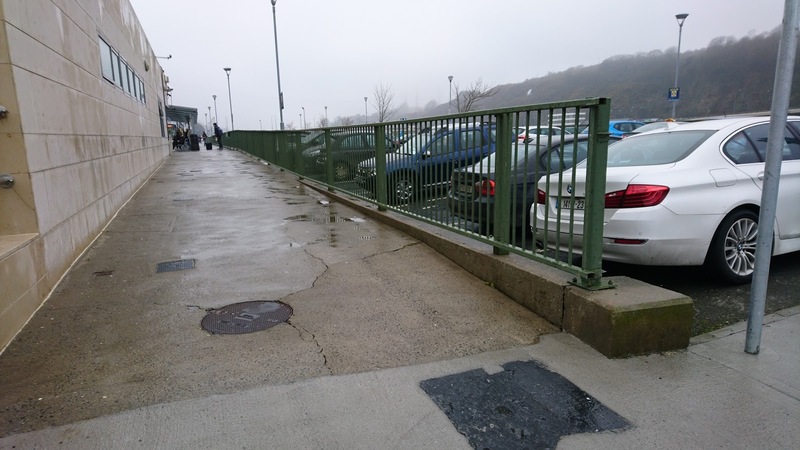 The coroner had some harsh words for the Waterford Harbour Commissioners stating that he had raised for many years the need for protection along the quays and that railings ought to be erected. A follow up meeting of the Board was strongly of the opinion that such railings would cause a liability and should be discounted. However, within two years the railings were in place, by order of the Board of Trade as I understand it. The sad fate of the memorial stone. And Louis? Well Louis’ father James travelled to Waterford that same week and made the arrangements to bring his sons body back to his family and his home town. Mr Lee was described as a manager of Ogston’s (a soap factory). A service was held at St Andrew’s Church and Louis was buried at Trinity Cemetery. As regards his memorial stone, I’ve heard two differing accounts of its origins. One that it was locally organised and paid for under the auspices of the Commissioners. However newspaper accounts did state that in early March of 1897 Louis’ father wrote to the board asking for permission to erect a memorial marble tablet to remember his son. This was initially welcomed because a further letter was received on the 18th March outlining some ideas re its design and seeking further information from the Commissioners. At this point the Board seems to have balked, stating concern about precedent and concern that what was suggested could perhaps be an interference to trade. I don’t know the exact details of when or who decided on the present stone, but it was cut into the quay wall, where it stood until the extension of the quay and the building of the bus station. It’s obvious the stone was damaged at some point it this process and why it should be set into a footpath is beyond me. Perhaps like me, those who were responsible at the time had no notion of Louis or what his loss meant to the city. But that doesn’t mean we have to allow such a neglect to continue. I have had a lot of help in pulling this story together as I had made an appeal via twitter and facebook for further information. Tomás Sullivan, Eoin Nevins, Brendan Grogan, Jamie O’Keeffe. In Aberdeen I got extra information via Pat Black, Pat Newman and Julie at the Aberdeen Art Gallery & Museums. * Another newspaper gave the cargo at 9,700 tons, which I thought too large, but open to correction. ** A later account by Thomas Drohan in the Munster Express was of the opinion that the ships company went ashore that night to toast Louis’ departure to navigation school and that he stayed behind when they returned to ship. The Hermione was requisitioned by the British Admiralty in WW1. 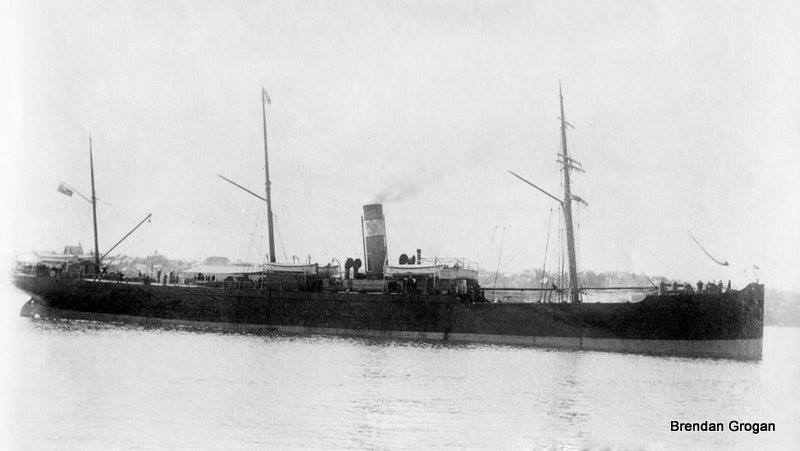 Whilst sailing from Liverpool to Buenos Aries in April of 1917, carrying general cargo including 57 horses, she became another statistic of the war. She was badly damaged approx. 1½ miles south of the Coningbeg rocks, off Co. Wexford, by a mine which was laid by the German submarine, UC33. Three sailors lost their lives, but I’m not clear as yet whether it was because of the mine, or her foundering (presumably the former). As an interesting aside the Munster Express carried a report of the opening of a new maritime Museum in Waterford in December 1978. One of the exhibits at Central Hall on Parade Quay was described as “2 wooden spoked wheels six feet in diameter from the SS Hermione salvaged in 1932 and donated by the Waterford Harbour Commissioners”(5) What I wouldn’t give to still have a Maritime Museum with us here in our area! (3) I did find advertisements in the papers of 1928, however Brendan Grogan has his grandfather’s diaries which show a date 1932 for the break up and removal. I got the initial information about the SS Hermione from a post by Brendan Grogan on the Waterford Maritime History facebook page which sent me off looking for more background to the story. I’m indebted to Brendan for the ship photos and his ongoing support. Generally ships in distress receive a welcome in any port, but this was not so with the Liverpool barque Sparkling Wave. 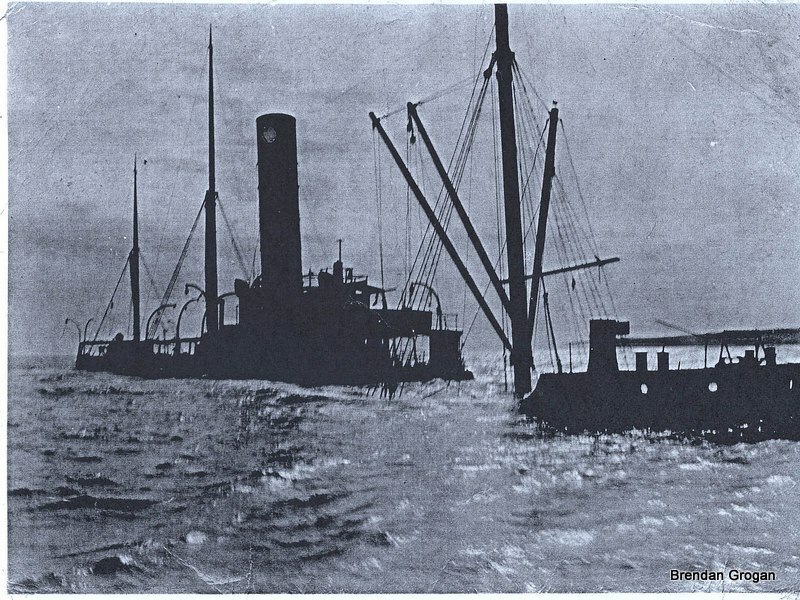 For the ship was carrying an explosive cargo, of such a quantity, the city fathers of Waterford could not permit her into their port for fear of the safety of the town. Recently we covered a report from the News and Star of 1862, which chronicled a series of shipping disasters and misadventures along the coast of Waterford and Wexford. 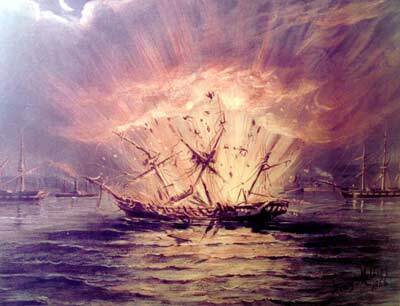 At least six ships were known to have perished but many more sustained damage, necessitating repairs. One such vessel was the barque Sparkling Wave. Fox’s Hole from an 1830s chart of Waterford, seen on the Kilkenny side of the River Suir just above Little Island. The following week its reported that a new mast had arrived from Liverpool and was already fitted. (As an aside, one wonders why they would not have had the repairs made in Waterford, given that the required skills and materials must have been readily available. Although it does highlight the promptness of the trade between the city and Liverpool at the time) The report concludes, perhaps with a hint of relief, that the barque will be soon underway. (4) It may have been good news for Waterford, but a curious line in a previous news report, suggests it might not be good news for everyone; “A strong impression prevails that the cargo on board the Sparkling Wave will reach the rebels ‘of the Confederate States’.” A story to be uncovered perhaps. 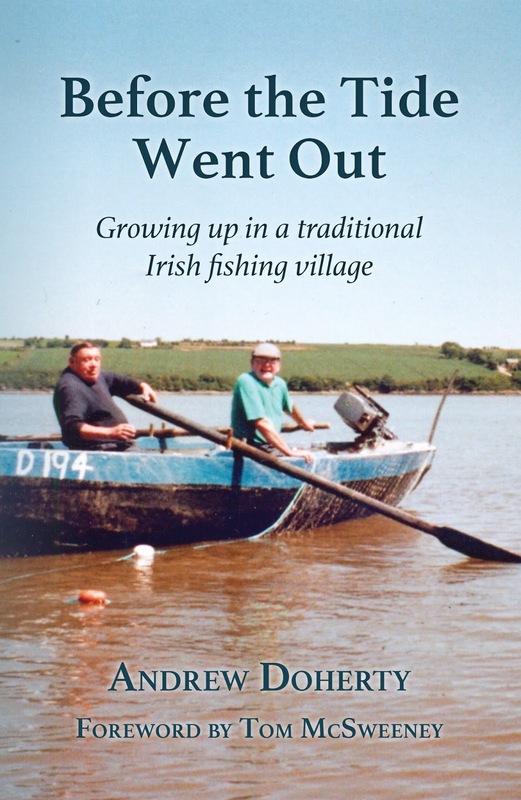 As the Irish Russian diplomatic tensions deepen, it came as a complete shock to the tiny neighbourhood of the Russianside, Cheekpoint, Co Waterford, to learn that they were to face mass deportation over the Easter weekend. 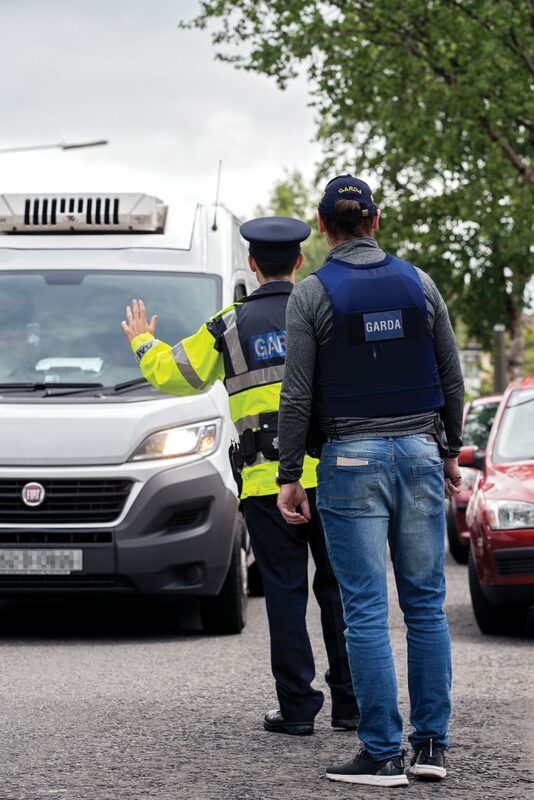 News of the deportation broke on Thursday when a spokesperson for the Department of Foreign Affairs speaking to Six One news announced a clean sweep of what was described as a “notorious Russian enclave” Since that time the lane has been closed off, no one allowed to enter or leave without facing rigorous checks by the Gardai. Staff at the Russian embassy seemed genuinely confused when asked to comment on the move. In a follow up email from a Russianside native, asking for some support a terse reply was received demanding that they use the mother tongue in any further correspondence. Locals have worked tirelessly to try contact and clarify the situation with elected officials. Waterfords TD’s have all been contacted but to no avail. John Deasy is understood to be now living in Washington. Mary Butler wasn’t available as her schedule over Easter, that includes being seen at every mass in the Comeragh electoral area, is too packed. David Cullinane told them to feck right off, still stung by not even receiving a second preference from the area in the last election. Doherty, it is understood, will be handed over to officials of the Department of Foreign Affairs on Monday at the Cross roads, the traditional border checkpoint separating the Russianside from the rest of Cheekpoint. Just where he go’s after that we are not sure, but the sincere wish of local residents is that it is no where with access to broadband.